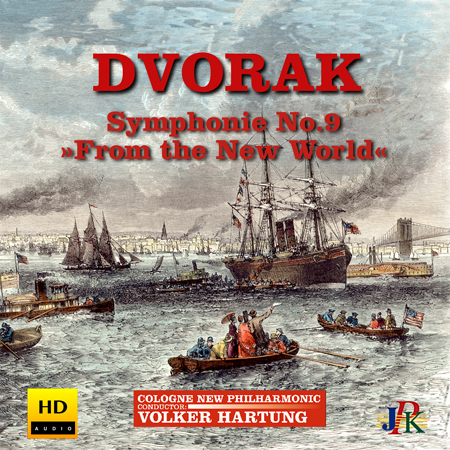 Anton Dvorak Symphony No.9 'From the New World' - New Album released! This album features Antonin Dvorák´s most famous work, his Symphony No.9 'From the New World' in a passionate and inspired performance by the Cologne New Philharmonic Orchestra under the direction of Maestro Volker Hartung. Performed at Kölner Philharmonie in Germany and mastered in gorgeous HD-24bit/48 kHz-Sound, this recording will you give you a wealth of listening pleasure!